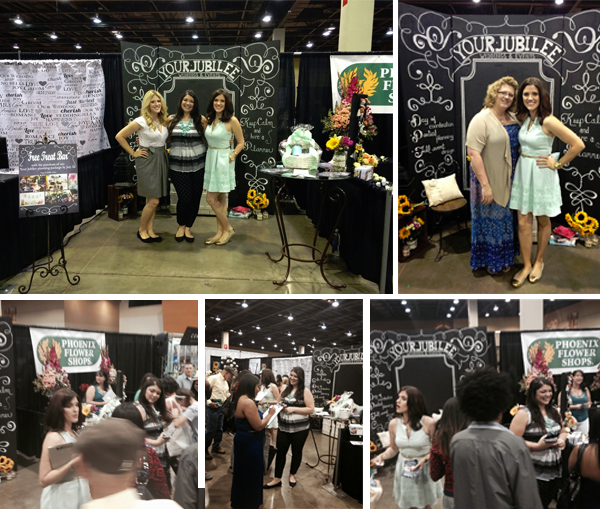 Your Jubilee had the best time meeting all of the wonderful Arizona brides at the Bridal Fashion Debut Expo this past weekend. We had so much support from our friends and family and are so thankful for all the helped we received creating our booth. One of the funnest moments of the expo was seeing one of our Your Jubilee brides and her family stop by to say hello. The winner of one of our Engagement Survival Kit was so excited to explore the items in her basket. Don’t worry, you still have a chance to win your own Engagement Survival Kit filled with over $100 worth of goodies to help you through this exciting time in a bride-to be life. If you did not have a chance to stop by our booth on Saturday, or if you would like to earn more entrees, like us on Facebook and follow us on Instagram. The basket includes amazing item from various vendors around the valley. 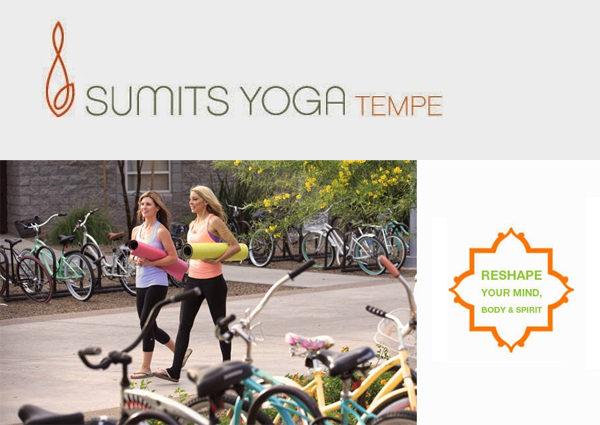 Start sweating for the dress with a free month unlimited membership to Sumits Yoga Tempe. Want a family member or bridesmaid to join you? Have them mention Your Jubilee before class and receive an unlimited week of Sumits Yoga Tempe for free (valid at Tempe location only). View their class schedule here. 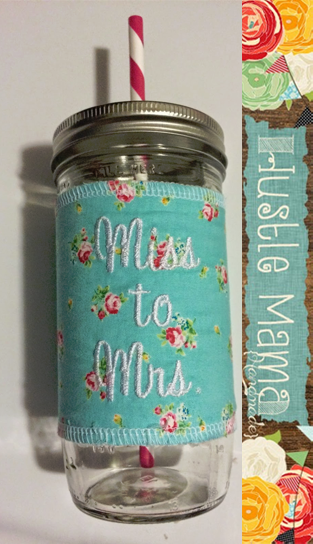 To help stay hydrated during and after those yoga classes use the custom made mason jar tumbler from Hustlemama Handmade. The custom embroidered sleeve with the “Miss to Mrs.” is the perfect accessory to and from your workouts and your wedding consultations. Check out her Etsy shop to purchase matching tumblers for your whole bridal party and other handmade goodies. Who doesn’t love a chocolate treat to help you through a long day? 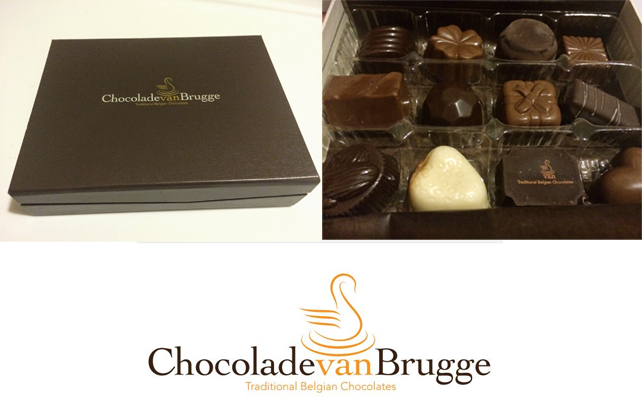 What better then Belgium chocolates from Chocolade Van Brugge to satisfy your sweet tooth. This local Belgium chocolatier not only offers amazingly delicious chocolate assortments but also offers Belgium beer and wine pairings with the perfect chocolates to ignite your taste buds. You can even book a dipping session- a great way to gather your bridal party for a pre-wedding get together! 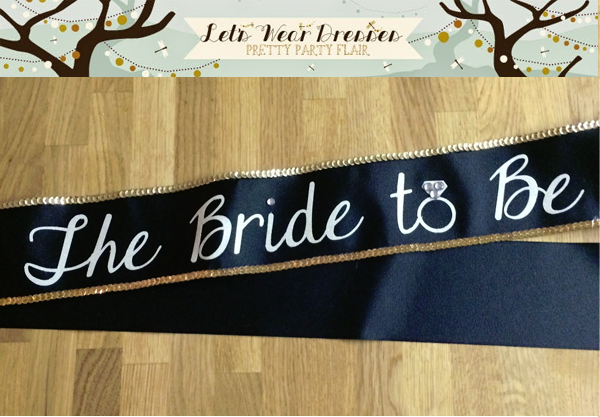 Every bride loves a custom sash to add to her bridal shower and bachelorette party. Let’s Wear Dresses offers handmade, custom sashes to match your wedding colors along with matching themed pins for your bridesmaids. She can also help decorate your shower or bachelorette party with unique handmade banners. 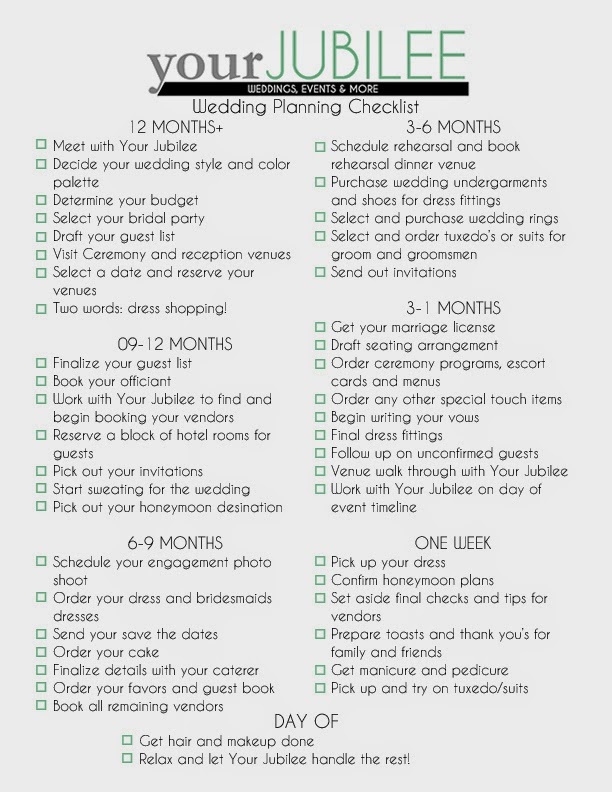 To help keep you on track, Your Jubilee added in a customized Your Jubilee Wedding checklist to make sure nothing is missed on your big day. The basket also includes a headband from Lululemon Athletica, a set of thank you notes from Papyrus and a Johnathon Adler notebook! 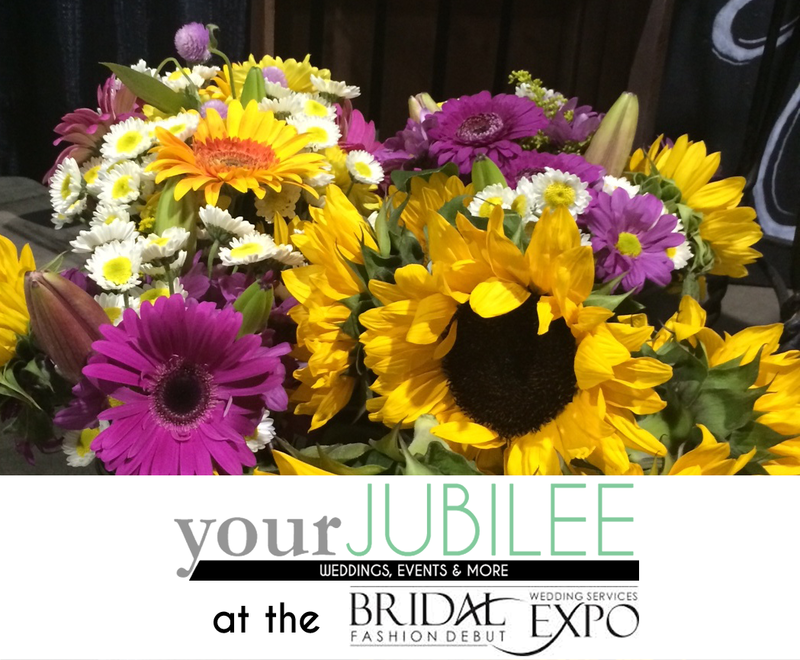 Don’t forget Your Jubilee is offering an amazing Bridal Show Special. 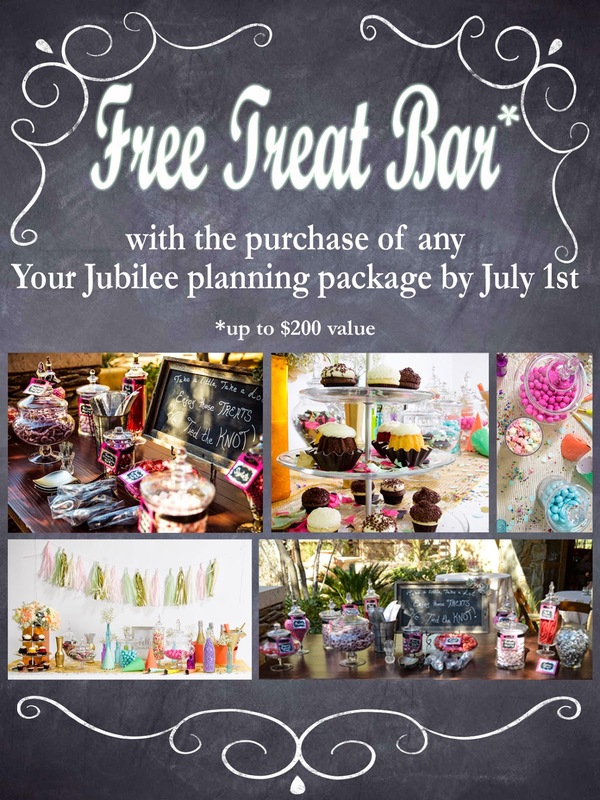 If you book any of our packages before July 1st, 2014 we will gift you one of our treat bars, up to a $200 value. Does your wedding or event need a popcorn bar, candy bar, cigar bar, or even a s’mores bar? Well, we have got you covered with this great Bridal Show Special. 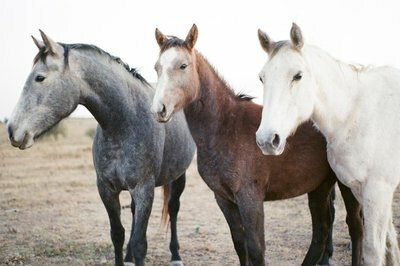 Ready to schedule your free consultation? 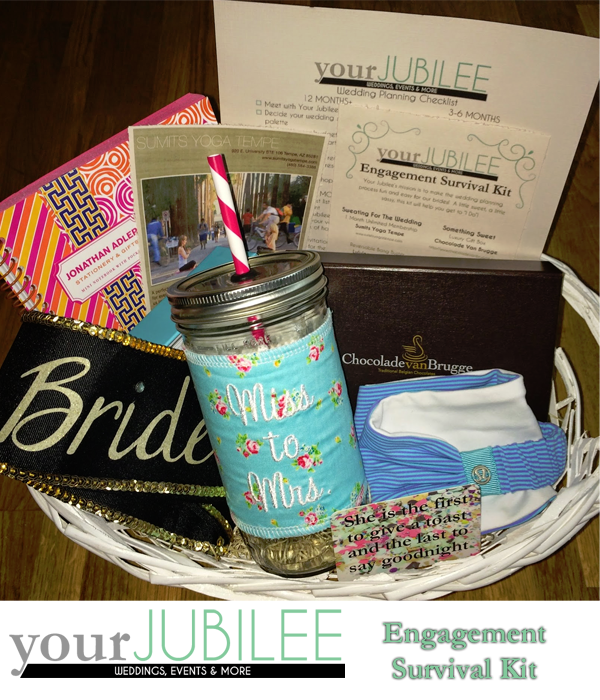 Fill out the form on our contact page, or email us directly at info@yourjubilee.com. We can’t wait to hear from you!